Human rights activist Billy Mayaya has withdrawn from a case where he applied to join in a matter where 11 United Democratic Front (UDF) members of Parliament (MPs) are challenging their possible expulsion from the National Assembly over their alleged crossing of the floor. Mayaya petitioned Speaker of Parliament Richard Msowoya to declare UDF MPs to have crossed the floor for relocating to ruling Democratic Progressive Party (DPP) benches in parliament. He joined the case as a friend of the court, challenging the stay order obtained by UDF MPs which prevented the Speaker from proceeding with the Section 65 procedures as outlined in the Standing Orders. 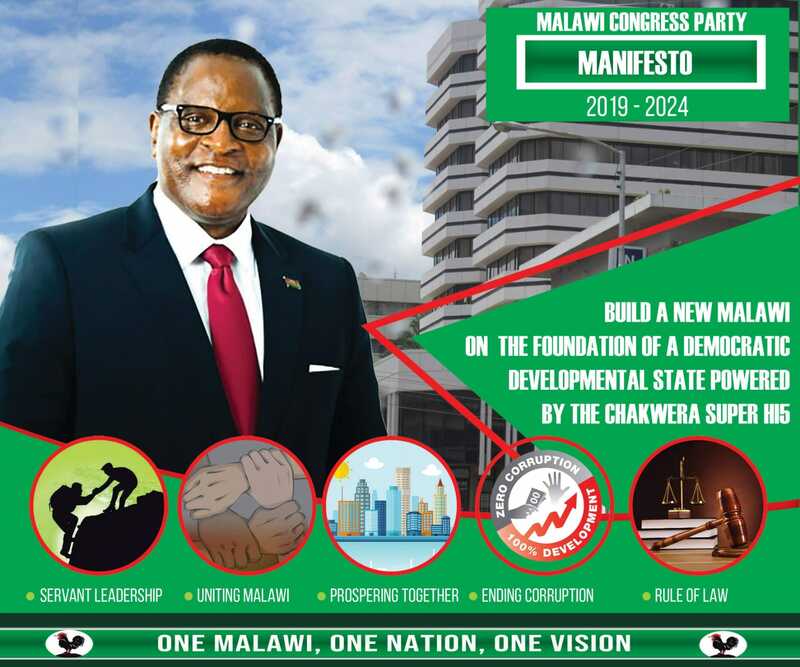 The Malawi Supreme Court of Appeal had set Tuesday to hear the application to discharge the order which it granted because the UDF MPs did not disclose they had responded to the seven-day ultimatum and accepted the procedure to continue. But hearing of the matter failed to take place because Mayaya’s withdraw, his lawyers, Golden and Law confirmed. UDF spokesman Ken Ndanga told Nyasa Times on Tuesday that the party was not surprised by Mayaya’s withdraw, saying he is “being used as a front” by some opposition political party in parliament. In their application, the UDF MPs want the court to declare illegal and unreasonable Speaker of Parliament Msowoya’s actions regarding their status in the House. In the judicial review case, the bone of contention is Msowoya’s alleged lack of impartiality in allowing a petition by Mayaya to be transferred to Salima North-West MP Jessie Kabwila (Malawi Congress Party-MCP) without acknowledging that the first one was irregular. Through GD Liwimbi and Partners, the UDF MPs claim that the Speaker should not have accepted Mayaya’s petition in the first place. They argue , instead, the Speaker should have invoked Standing Order 207 (4) asking the MPs to respond to the allegations when it was irregular. “The first respondent [the Speaker] acted illegally, ultra vires and outside the scope of his lawful authority, unreasonably and without impartiality when following the applicants response to Mr Billy Mayaya’s petition, he [ the Speaker] allowed him [Mayaya] to correct the irregularity instead of dismissing the petition,” argues private practive lawyer Gabriel Chembezi in his skeletal arguments on behalf of the MPs. Eleven of UDF’s 14 MPs moved to the government benches in Parliament to cement the working relationship between their party and the governing Democratic Progressive Party (DPP). President Peter Mutharika roped into his Cabinet UDF president and Machinga North East MP Atupele Muluzi. UDF MPs not affected by the move are Muluzi, Second Deputy Speaker of Parliament Clement Chiwaya and former leader of UDF in Parliament Lucius Banda. Attorney General’s office gave a legal opinion that UDF MPs have not crossed the floor. He has nothing to offer. That is the result if you serve two masters.You cant be the servant of political groupings and human rights groupings as well. No mboshombosho no! Thus why he has been caught in between. waopa kuphedwa mayaya. Wachita bwino iwe. Phukusi lamoyo umasungitsa?. ayi taa, uli ndi ana komanso nkazi. Anthu mngakupha awa!!!!. This gentleman simply wants to sow seeds of confusion. Defenders of human rights in Malawi. He started this pandemonium to fool the Malawians without knowing the legal consequences. Even the stupid Speaker has been exposed by this idiot who has no Paliamentary mandate! What a Speaker! I was so surprised with the speed at which Mayaya was accusing the government and its leader. As if it was personal issue. So Mayaya wanted to be taken care of by Dr Mathanyula.For sure Mathanyula has done it. First Mayaya closed his mouth for the past two weeks. Now this is what we are hearing. No questions many heads of CSOs wil go into total jibernation, after all account number one is full and accessible after passing the budget. Machende a mako Billy Mayaya ndipo sikono imeneyo ikatha usatisokeselenso ayi.